Say goodbye to limp greasy strands and embrace those natural beachy waves. 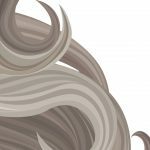 Regardless of whether you’re born with fine, sparse strands of hair or a full head of thick curls, we all go through changes in our daily lives that can leave our locks a little more limp than usual. 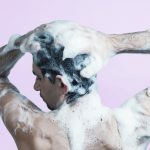 Harsh shampoo ingredients and treatments (yup, even your regular blow dry session) can easily strip your hair of precious moisture and nutrients. Even that additional stress can lead to brittle, fine strands that can be hard to build up volume and style with. Luckily there are still solutions that can help you boost your ‘do without the long term damage. Here are the best hair thickening sprays for a fuller head of hair. This protective hair mist uses rice seed extract and mediterranean sea salt to add volume to hair without leaving it dry or stiff. Algae extract helps to hydrate strands and promote natural shine, perfect for that beach getaway out in the afternoon sun. If applied to your roots and styled with a blow dryer, you can end up with a major boost in volume. Got an oily scalp or hair? You’ll be more interested in the matte finish that this spray gives your hair. Organic yucca starch builds volume and texture in hair, while horsetail and essential oils nourish the scalp for overall healthier hair growth. Just be sure to comb through with your fingers or a brush after application for smooth, even distribution. There are many times when our hair needs a pick-me-up, whether it’s after hitting the gym or on one of those no-shampoo days. The citrus extracts in this spray help to remove excess oil from greasy flat locks, while also providing light hold and texture. Anti-microbial eucalyptus keeps your scalp clarified, making way for healthy hair growth. Sometimes three natural ingredients are all you need for the perfect beachy look. The sea salt in this spray helps to absorb excess oil which also amping up fine hair into the perfect wind-swept look. Lavender oil moisturizes while relaxing the senses. Can you believe it that this yummy-smelling product contains only natural fragrances? The heavenly banana and coconut water scent is a must-have for every tropical getaway. Check out the nutrient-rich chia seed and algae extract that help repair damage and protect. Ideal for all hair types. The Atlantic sea salt in this spray helps you achieve textured hair and beachy waves, while the organic aloe vera juice adds gentle hold. They’re ideal for adding more body to fine hair, while still looking natural, soft, and radiant. Comes with a pure, rosy scent. Ever notice how beautifully tousled your hair looks after a dip in the sea? That’s from the sea salt. This sea salt spray is formulated with the same salinity as the Pacific Ocean, helping you recreate that dreamy natural bounce. Contains lavender and sage essential oils to help purify the scalp. Apply the spray onto clean damp hair, evenly into different sections. Air dry or blow dry lightly. For more natural texture or to freshen up hair between washes, simply spray a small amount through dry hair. For more dramatic volume, apply a generous amount to roots and blow out. Comb the spray through a bit with fingers or a brush as needed to achieve your ideal look. 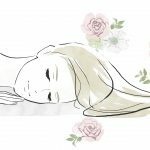 A Beginner’s Guide to Hair Serum, and Why You Need One: From taming frizz to repairing damage, and even helping hair grow, hair serum is a real multi-tasker! 9 Best Natural Conditioners for Healthy, Frizz-Free Hair: We’ve read the ingredients labels for you so you can enjoy the luscious hair of your dreams.